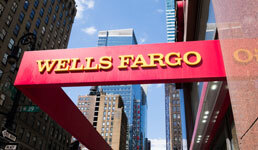 No FAs at Wells Fargo Advisors likely welcomed the near-coincidence of the firm’s announcement one week ago that most clients would get an annual fee of nearly six basis points added to their accounts and the headlines last week about online outages at the wirehouse’s parent bank. “It’s not good, with outages like that, don’t put your advisors in the position of having to explain to clients about a new fee,” one outsider and long-time analyst of the wealth management industry says. “To me, it’s a pretty scary place to be working,” says Sheryl Rowling about WFA. Rowling, the principal of Rowling & Associates in San Diego, which has more than $340 million under management, adds: “For anybody that is courting [WFA] advisors, this is a golden opportunity." For its part, WFA issued statements to clarify that the new fee, effective in April, would apparently “be cost neutral or slightly positive for clients,” because the firm would issue credits for platform support collected from mutual fund companies. But what about that outage? That did not include the not yet effective additional advisory fees — obviously.